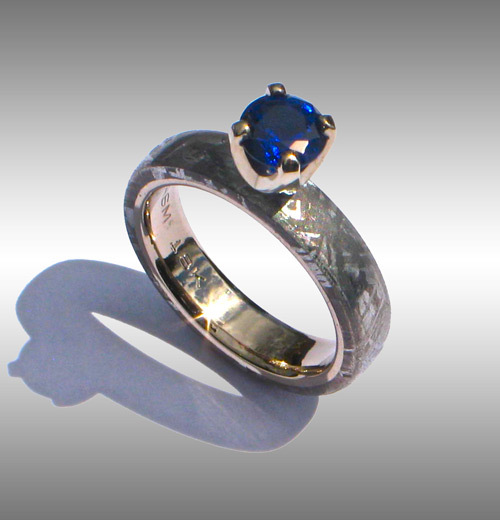 Style #065: Lovely Gibeon Meteorite Engagement Ring with 18k Palladium White Gold Lining set with 6mm Chatham Sapphire. This unique ring is shown in a size 6, and 4 mm width. Please enquire for current pricing! !